Over at the Ludwig von Mises Institute’s website they have reproduced a comment from good old Ludwig von Mises on “The Objectives of Currency Devaluation” from Human Action. I love Human Action and there is no doubt Ludwig von Mises was a great economist, but to be frank when it comes to the issue of devaluation he was basically clueless. Sorry guys – his views on this issue are not too impressive. It might be that this is what motivates policy makers to devalue the currency, but he forgets the real reason why it might make perfectly good sense to allow the currency to weaken. If monetary policy has caused nominal GDP to collapse as was the case during the Great Depression (or during the the Great Recession!) then a policy of devaluation is of course the policy to pursue. Hence, von Mises totally fails to understand the monetary implications of devaluation. The core of von Mises’ lack to understand of the monetary impact of devaluation is that he – like Rothbard – has a very hard time differentiating between good and bad deflation. George Selgin has a great discussion of von Mises’ view of deflation in his 1990 paper “Ludwig von Mises and the Case for Gold”. George goes out of the way to explain that von Mises really did understand the difference between good and bad deflation and that given his views he should really have supported a monetary policy regime (rather than the gold standard) that ensures stabilisation of nominal spending (M*V). The paradox is of course that you can interpret von Mises in this way, but why would he then be so outspoken against devaluation? In my view von Mises did not fully appreciate that there is good and bad devaluation – so it is no surprise that his modern day internet supporters (of the populist kind…) is so in love with the gold standard. By the way the kind of arguments von Mises has against devaluation and in favour of the gold standard are very similar to the arguments of the most outspoken proponents of the euro today. Yes, the logic of a common currency and the gold standard is exactly the same. I never understood people who support free markets could also be in favour of fixing the price of the currency – to me that makes absolutely no sense. Milton Friedman of course reached the same conclusion and more important Friedman realised that if you try to peg your currency at an unsustainable level then policy makers will try to pursue interventionist policies to maintain this peg. 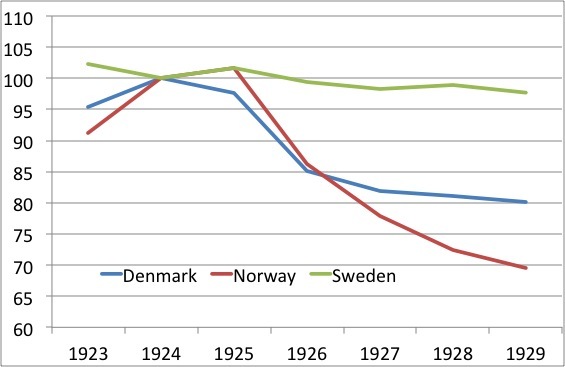 Capital restrictions and protectionism are the children of pegged exchange rates. Just ask Douglas Irwin. UPDATE: Shawn Ritenour disagrees with me on this issue. Read his comment here. What I regret the most about the comments above is not that I have been a bit too hard on Mises, but rather that my representation of George Selgin’s views on the issue. While I do not think my representation of what George said in his 1999 paper is wrong I do admit that I could have expressed his position more clearly. By the way I have noticed that when I verbally insult people – living or dead – then it clearly increases the traffic on my blog. So if I wanted to maximize “clicks” I would insult a lot more people. However, I do not like that kind of debate so I promise to try to stay civil and polite – also to people with whom I disagree. Using words like “clueless” in the headline might not live up to that criteria, but I will admit that I have been greatly frustrated by the arguments made by “internet Austrians” recently (And once again I am not talking about what we could call the GMU Austrians…). The headline of most stock markets reports yesterday said something like “Stocks: Worst Thanksgiving Drop Since ’32”. That made me think – what really happened in November 1932? As is the case this time around European worries dominated the financial headlines back in November 1932. The first of two key events of November 1932 was the German federal elections on November 6 1932. We all know the outcome – Hitler’s National Socialist Germans Workers’ Party (NSDAP) won a landslide victory and got 33.1% of the vote. 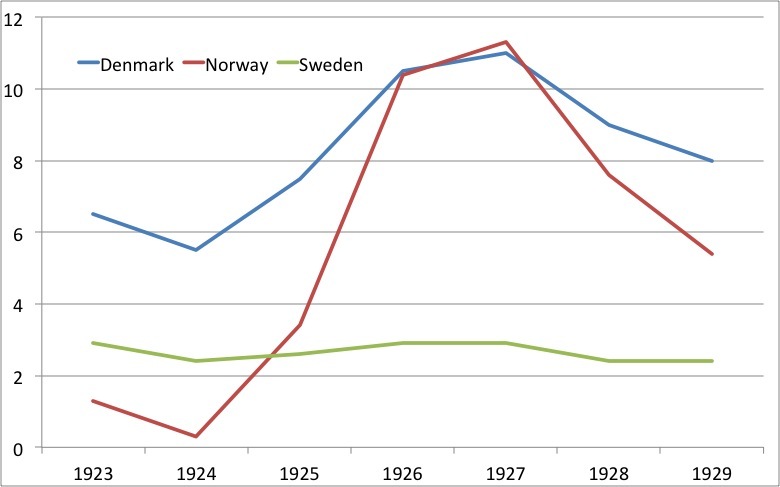 As the Communist Party won 16.9% the totalitarian parties commanded a firm majority – what at the time was called the “negative majority”. This eventually led to the formation of Hitler’s first cabinet in January 1933. The second key event of November 1932 of course was the US presidential elections. Two days after the German in elections Franklin D. Roosevelt won the US presidential elections defeating incumbent president Herbert Hoover on November 8 1932. FDR of course in 1933 took the US of the gold standard, but also introduced the catastrophic National Industrial Recovery Act (NIRA). Obviously we today’s know that the failed gold standard was the key reason for the Great Depression and especially European central bankers’ desperate attempt to save the failed monetary regime created the environment in which Hitler and his nazi party was able to win the German elections in November 1932. What would have happened for example if Germany had been given proper debt relief, the European central banks had given up the gold standard and the French central bank had stopped the hoarding of gold? Had I been a Marxist I would had been extremely depressed today because then I would had believed in historical determinism. Fortunately I think we can learn from history and avoid repeating past mistakes. I hope today’s European central bankers share this view and will learn a bit from the events of November 1932. If European central bankers this time around decide not to learn from events of 1932 then they might be interested in learning about the dissolution of the Austro-Hungarian currency union in 1919. Then they just have to read this excellent paper by Peter Garber and Michael Spencer. The last remnants of the global gold standard system died when the Bretton Woods agreement collapsed in 1971, but the notion of a global currency system based on a gold standard occasionally pops up in both general and academic debates, especially in the USA. Friedman was never any great proponent of the gold standard or other goods-based currency systems. He sees a gold standard system as neither possible nor desirable in a today’s world: undesirable because its reintroduction would imply enormous costs in connection with purchasing gold, and not possible because the “mythology” that surrounded the gold standard in the nineteenth century no longer exists. In the nineteenth century everyone expected changes in the money supply to be determined by developments in the price of gold, and that money and gold were close substitutes. Today, we expect the central bank – not gold – to ensure the value of our money. A reintroduction of the gold standard would require a shift in this perception. In the nineteenth century the gold standard ensured low (or more correctly no) inflation for long periods of time. 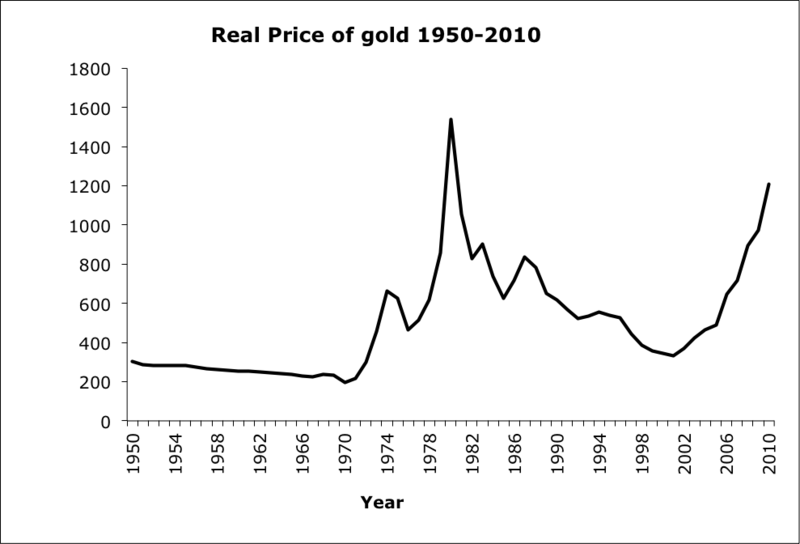 On the other hand, prices fluctuated considerably from year to year as gold production rose and fell. According to Friedman this was possible because the goods and labour markets were much more flexible at that time than now. Any attempt to reintroduce the gold standard now would result in exactly the same negative outcomes as a fixed exchange rate policy. Despite the global gold standard having been abandoned many years ago, most central banks continue to own large amounts of gold. Friedman’s view is that one should fully acknowledge the end of the gold standard system and auction off the gold reserves of the central banks.